That is to say, the explorers didn’t miss Monterey so much as they just failed to recognize it from the descriptions left by sailors. An exploration party led by Portola traveled on land from San Diego, went up the California coast to somewhere around San Simeon, crossed over to the Salinas Valley and followed that river to its source. 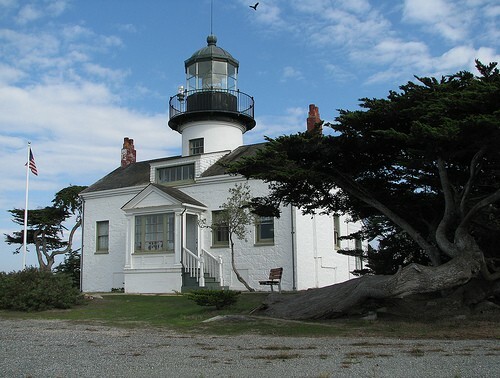 From there, they identified Point Pinos, the most prominent landmark of Monterey, hiked around the point to Carmel and back, and determined that this could not possibly be Monterey. Bancroft gives a number of reasons how this could have come about. The two I like best are (1) the description of the bay as a great anchorage was inaccurately overstated, and (2) things look different from land and from the sea. As to the second, things do look different from land and from water. I could go on about that, but the thought reminded me of a passage from Italo Calvino’s Invisible Cities. And he’s so much better at writing than I am. Despina can be reached in two ways: by ship or by camel. The city displays one face to the traveller arriving overland and a different one to him who arrives by sea. When the camel-driver sees, at the horizon of the tableland, the pinnacles of the skyscrapers come into view, the radar antennae, the white and red windsocks flapping, the chimneys belching smoke, he thinks of a ship; he knows it is a city, but he thinks of it as a vessel that will take him away from the desert, a windjammer about to cast off, with the breeze already swelling the sails, not yet unfurled, or a steamboat with its boiler vibrating in the iron keel; and he thinks of all the ports, the foreign merchandise the cranes unload on the docks, the taverns where crews of different flags break bottles over one another’s heads, the lighted, ground-floor windows, each with a woman combing her hair. In the coastline’s haze, the sailor discerns the form of a camel’s withers, an embroidered saddle with glittering fringe between two spotted humps, advancing and swaying; he knows it is a city, but he thinks of it as a camel from whose pack hang wine skins and bags of candied fruit, date wine, tobacco leaves, and already he sees himself at the head of a long caravan taking him away from the desert of the sea, towards oases of fresh water in the palm trees’ jagged shade, towards palaces of thick, whitewashed walls, tiled courts where girls are dancing barefoot, moving their arms, half-hidden by their veils, and half-revealed. Each city receives its form from the desert it opposes; and so the camel-driver and the sailor see Despina, a border city between two deserts. Afterthought: The lighthouse, charts, and a GPS do make Point Pinos and Monterey easier to find these days.